Michael S. Lewis-Beck is F. Wendell Miller Distinguished Professor of Political Science at the University of Iowa, and holds a Ph.D. from the University of Michigan. His interests are comparative elections, election forecasting, political economy, and quantitative methodology. He has been designated the 4th most cited political scientist since 1940, in the field of methodology. 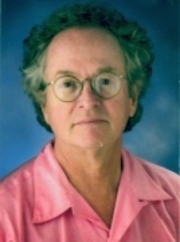 Professor Lewis-Beck has authored or co-authored over 240 articles and books, including Applied Regression: An Introduction, Data Analysis: An Introduction, Economics and Elections: The Major Western Democracies, Forecasting Elections, The American Voter Revisited and French Presidential Elections. He has served as an Editor of the American Journal of Political Science, the Sage QASS series (the green monographs) in quantitative methods and The Sage Encyclopedia of Social Science Research Methods. Currently he is Associate Editor of International Journal of Forecasting and Associate Editor of French Politics. In spring 2012, he held the position of Paul Lazersfeld University Professor at the University of Vienna. During the fall of 2012, he was Visiting Professor at Center for Citizenship and Democracy, University of Leuven (KU Leuven), Belgium. In spring 2013, Professor Lewis-Beck was Visiting Scholar, Centennial Center, American Political Science Association, Washington, D.C. During fall 2013, he served as Visiting Professor, Faculty of Law and Political Science, Universidad Autónoma de Madrid, Spain. In spring, 2014, he was Visiting Scholar, Department of Political Science, University of Göteborg, Sweden. For fall, 2014, he served as a Visiting Professor at LUISS University, Rome. At present, he is co-authoring a book on how Latin Americans vote.